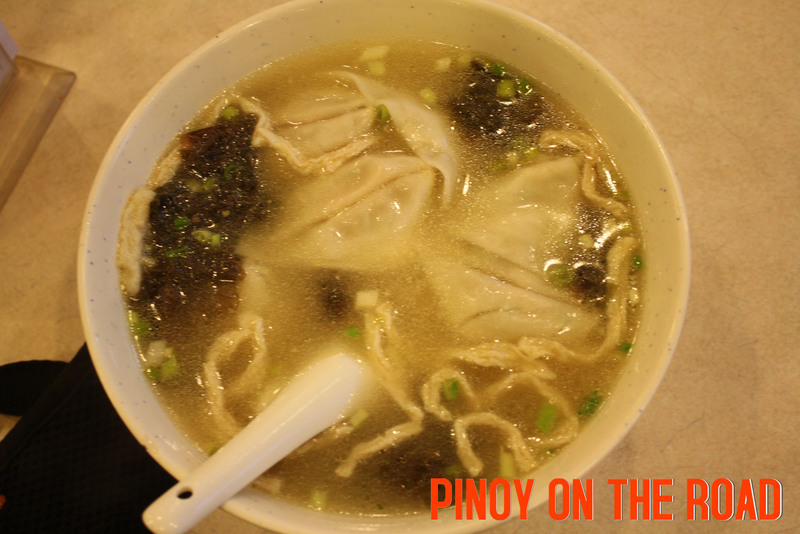 Immediately after our guide picked us up at the Beijing International Airport in a cold winter day, she brought us to a some-sort-of Chinese breakfast before our tour to Tiananmen Square and the Forbidden City started. The complimentary breakfast was not good, to my own judgement, or perhaps we are not hungry. This is our first day in Beijing. 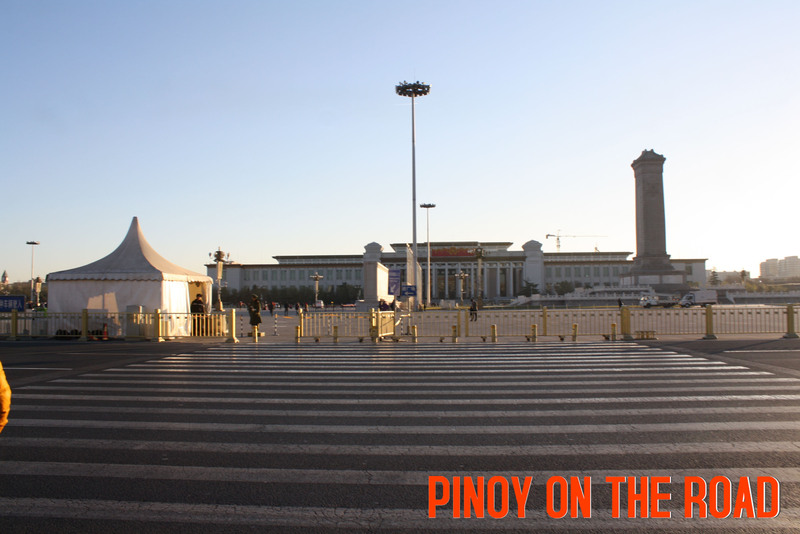 Then we went immediately to Tiananmen Square. Tiananmen Square or The Gate of Heavenly Peace is a modern creation – China being a land where large public gathering places were not traditionally built. 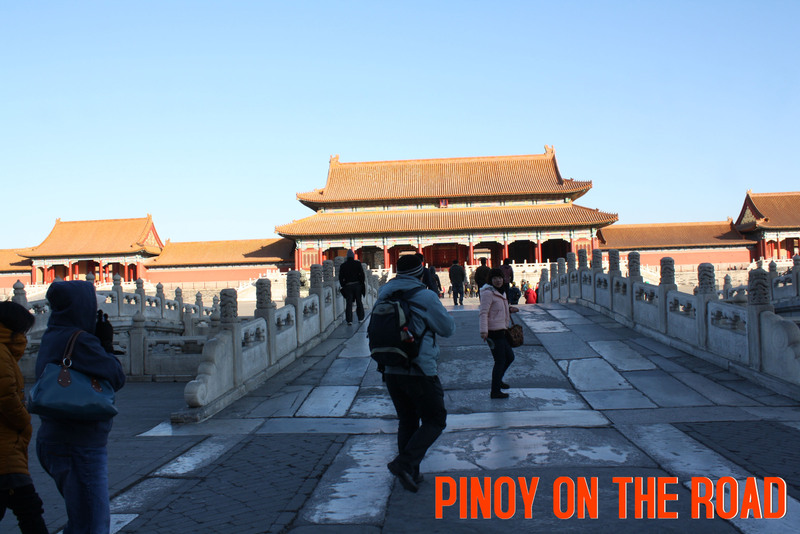 Its construction broke down walls of the Forbidden City to make way for the large thoroughfare, Chang’an Jie. 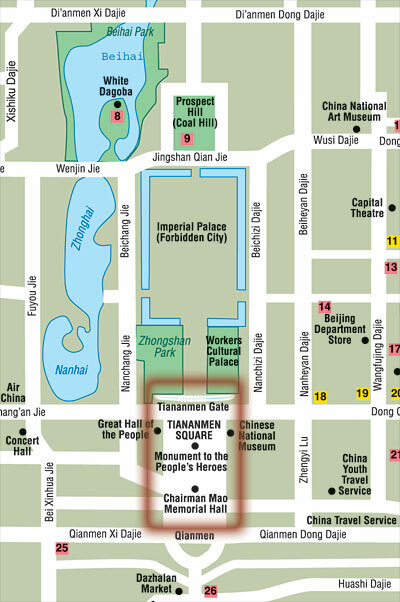 Previously Tiananmen Square was occupied by imperial offices which were inside the Forbidden City and connected the Temple of Heaven to Qianmen and the palace. 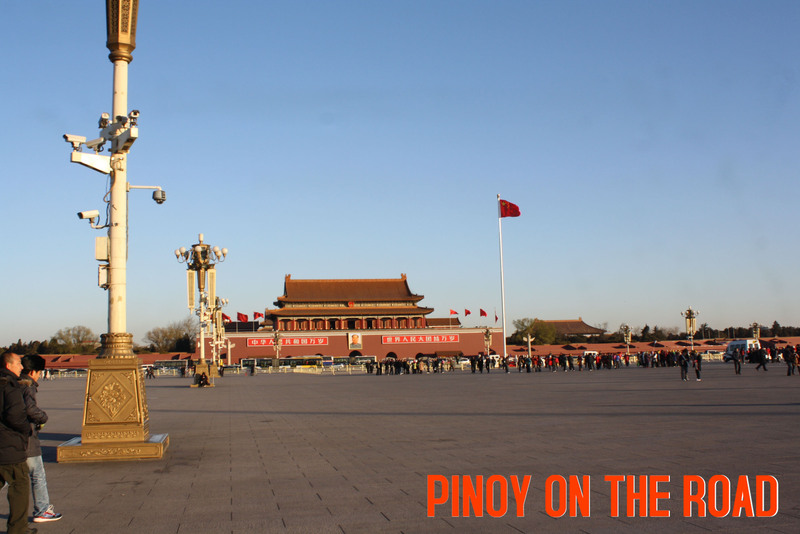 Tiananmen is the original gate of the Imperial Palace, commonly known as the Forbidden City. 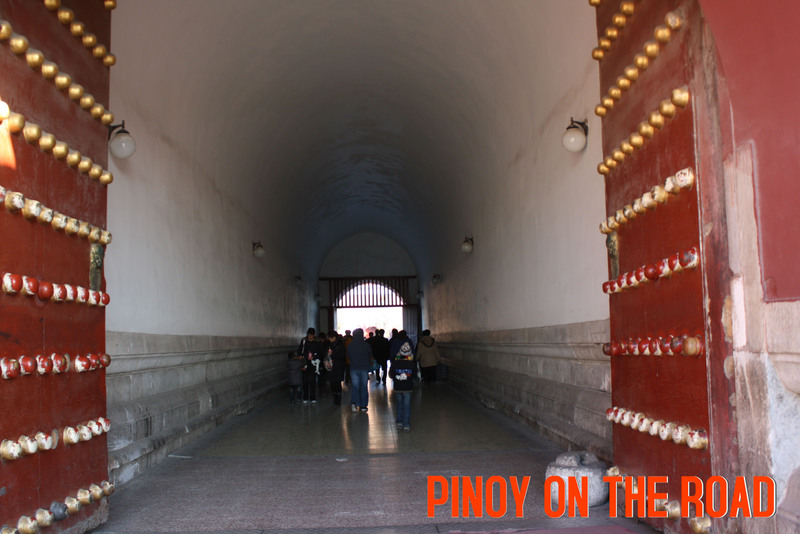 It is now one of the entrances for tourists visiting the Forbidden City. 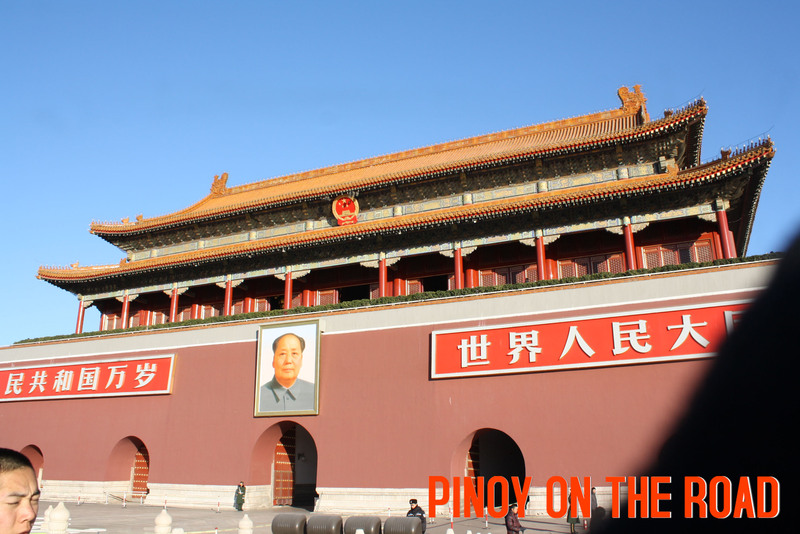 In 1949, Mao Zedong declared the foundations of the People’ Republic of China in this building. In the middle of Tiananmen Square sits Monument to the People’s Heroes dedicated to the men and women who died in the struggles to make China an independent nation in the century before the Communists came to power. The cornerstone was laid by Mao Zedong and Zhu De on September 30, 1949, a day before the official establishment of the People’s Republic of China. 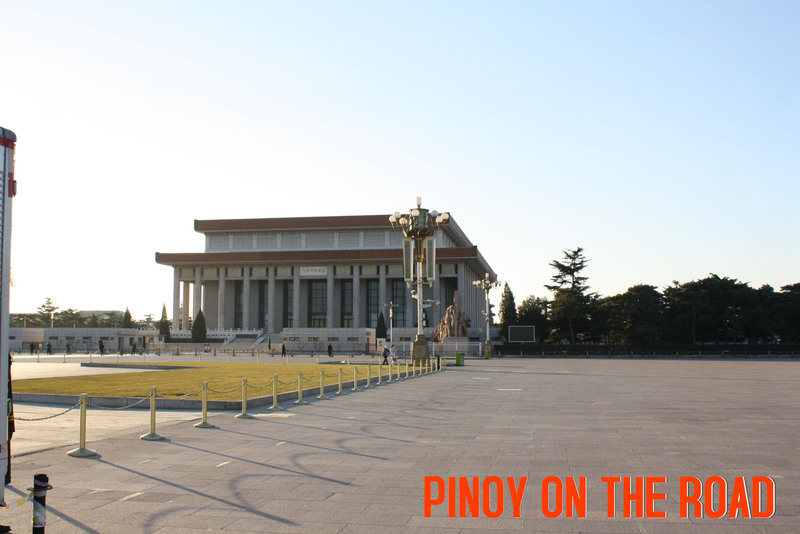 The Mao Zedong Memorial Hall seen behind the monument is the only visible reminder of China’s transitional leader Hua Guofeng who served between Mao’s death in 1976 and the rise to power of Deng Xiaoping in 1978. The mausoleum was completed in 1977. The mausoleum is usually open Tuesday-S5nday 8:30-11:30am and 2-4pm; admission is free. 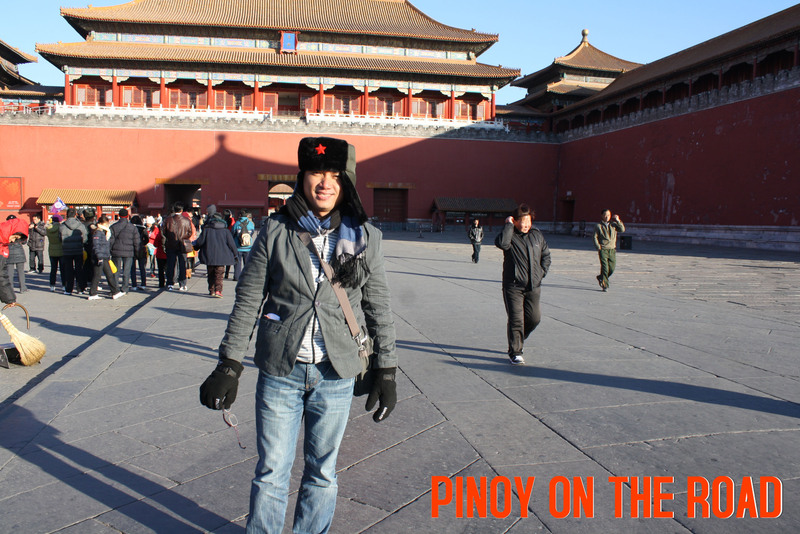 Just in front of the Square is the Forbidden City or the Imperial Palace. 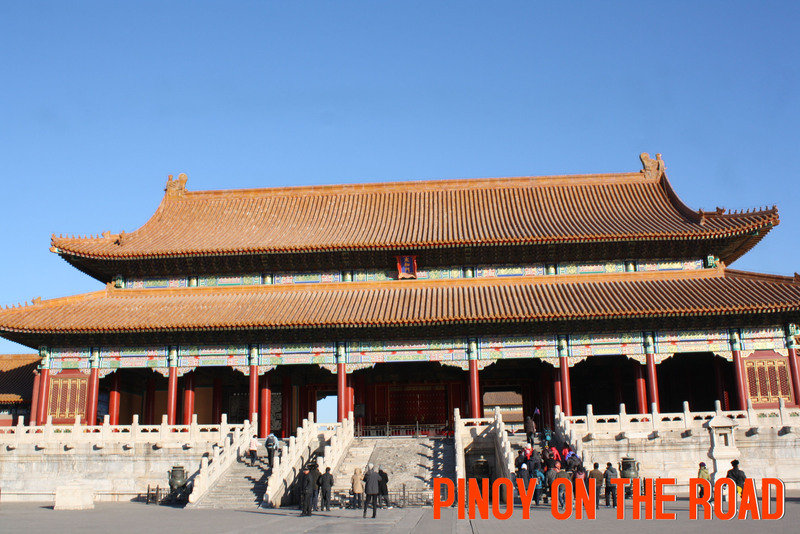 The Forbidden City remained the residence of the emperors for nearly 500 years, from the 15th century to the early 20th century, and was the actual and symbolic seat of imperial power. 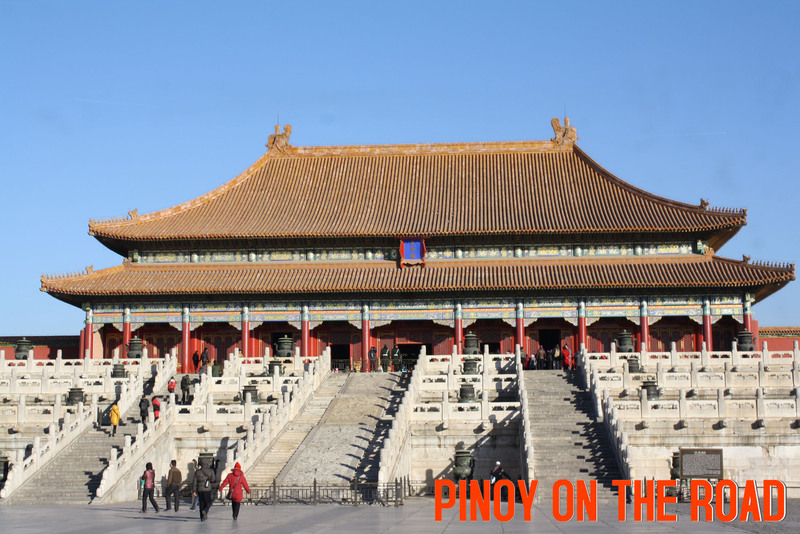 Popularly known as the Forbidden City, it was built in the Ming Dynasty between the 4th and the 18th years of the Yongle period (1406 – 1420 AD). 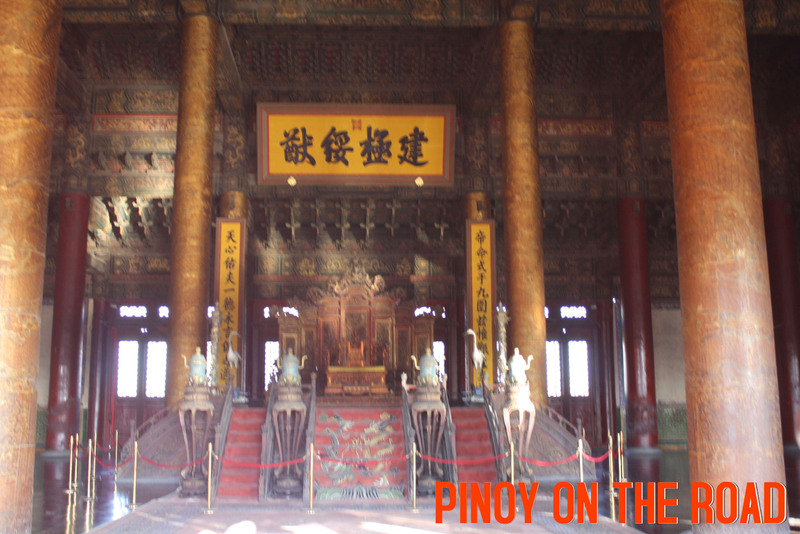 Many of the buildings of the Palace have been repaired and rebuilt, but their basic style and layout remain in their original state. The layout of the Forbidden City is based on a Chinese cosmic diagram of the universe that clearly defines the north-south and east-west axes. 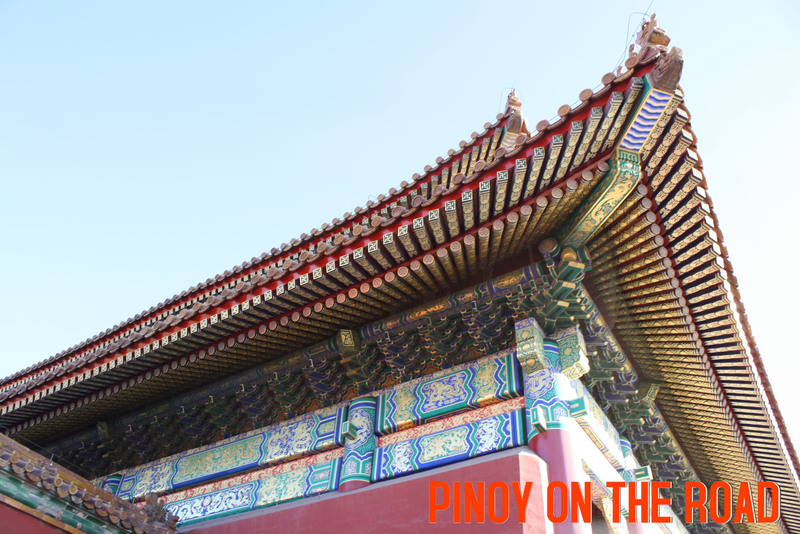 The buildings represent the largest and best-preserved examples of Chinese traditional architecture found today. 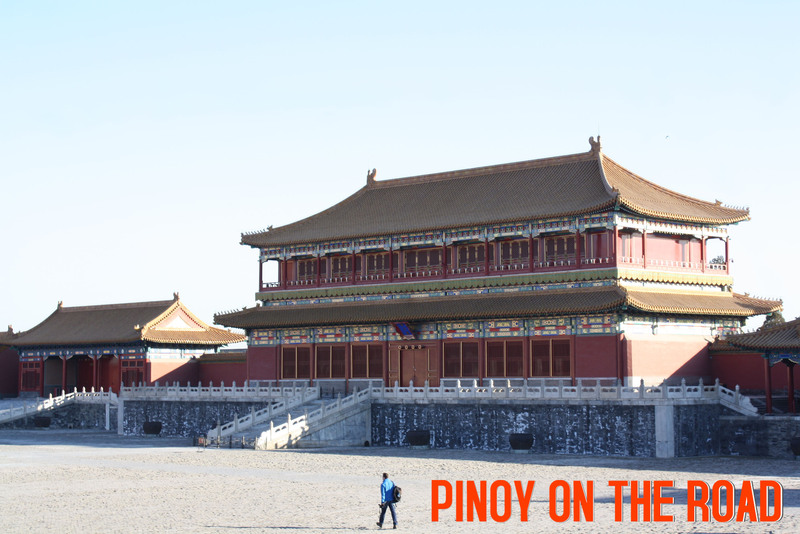 The Forbidden City remains a major cultural and political symbol of China. 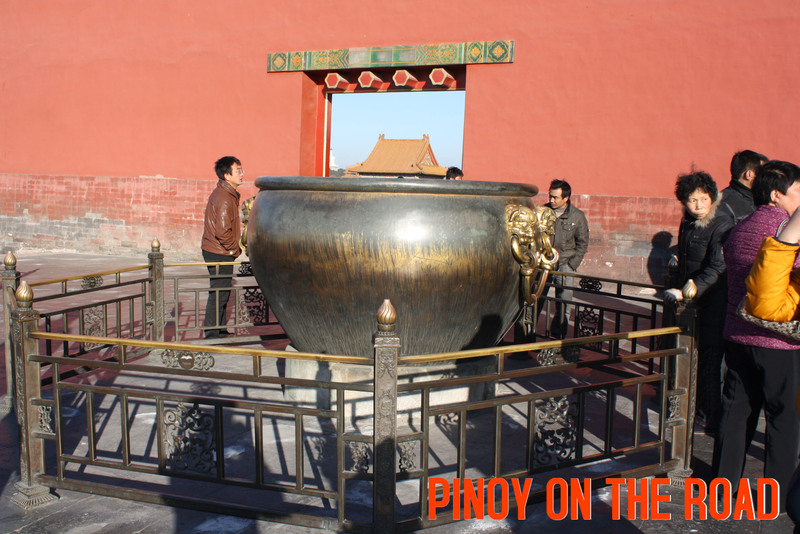 Visiting Beijing without visiting the Forbidden City and the Tiananmen Square is not a visit to Beijing at all.